This course provides an overview of the eviction process in California from start to finish. Landlord/tenant lawyer, Catherine Weinberg, begins by discussing the methods available to terminate the tenancy, then dives into the court action to evict a tenant, called an unlawful detainer case. The course will touch on common issues landlords face when filing an unlawful detainer case, and what to expect throughout the process, including common pitfalls for landlords and delay tactics used by tenants to prolong an eviction. I was amazed how knowledgeable this instructor is. I had done 2 years of evictions and yet I learned a lot today! I enjoy the Q & A format the instructor had, helps answer my questions without having to wait for a response. The Instructor does a fine job. 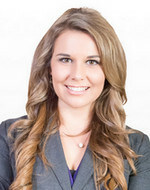 Catherine Elizabeth Weinberg is an Associate Attorney with Simone & Associates/the Landlords' Legal Center, and is a California licensed Real Estate Broker with Single Oak Realty. Ms. Weinberg focuses her legal practice on landlord/tenant law and unlawful detainer litigation. She also works on general civil matters involving real estate and business issues. 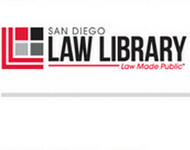 Ms. Weinberg obtained her BA from the University of California at San Diego (UCSD) and JD from the University of San Diego School of Law.